39mm of rain means the quite dry weather has stayed with us and we have sprayed off the Humpety back with weed killer in preparation for ploughing. This year we are growing Winter wheat. Normally I would be sowing maize in the spring as part of the crop rotation but the Humpety back’s soil is a heavier (wetter) type and if we had a wet harvest time the mess made is just not worth thinking about. 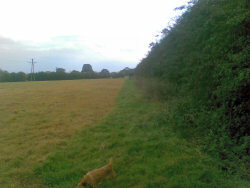 This picture shows how we have left an un-sprayed strip alongside the hedge to leave space for our wildlife. Next phase is muckspreading and then ploughing which we will be doing ourselves. This Autumn has seen an abundance of fruit and berries so I am wondering just what the Winter has in store for us. Moving into November and we are on countdown for Hannah’s 21st birthday so this means the shed WILL be finished by the month’s end. 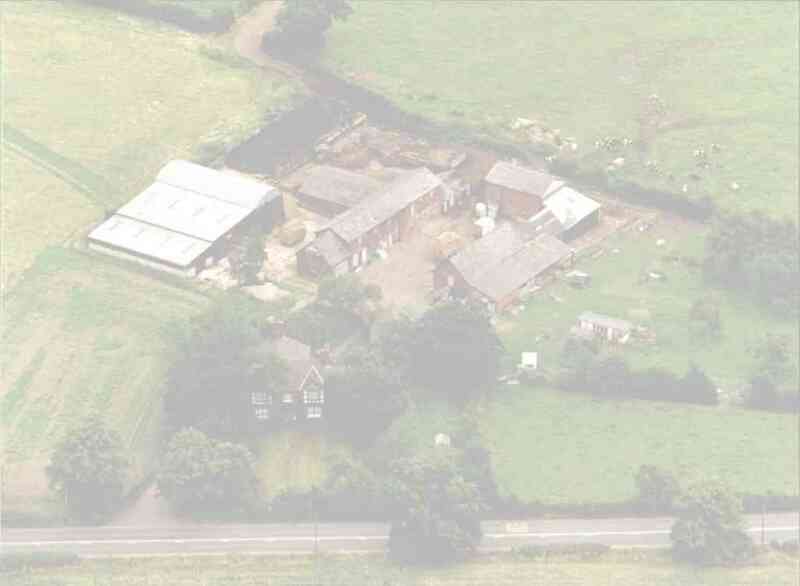 This shows the partition which now separates the toilets and this month we are welcoming the Manchester University for their third successive year visiting. 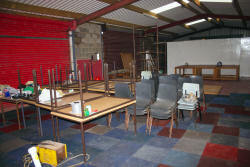 Peter and Simon have a project currently occupying the cubicle shed. 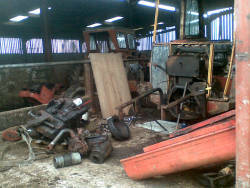 It’s our scraper tractor literally in many pieces as they have removed the crankshaft for repair. It had better be finished soon as we need the shed for the cows soon. We have had three cows calve this month two Angus females and one Black and White male. One cow had given birth to twins however the bull calf was stillborn and worse still the mother died two days later the heifer is however doing fine feeding by bucket. The very end of the month saw myself and James Hague heading up to Preston for a two day “speaking out” course held by the LEAF organisation. 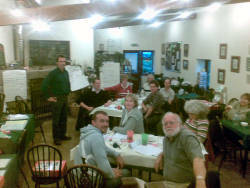 This was for like minded farmers giving tips on public speaking presentations for our farm visitors. This picture is of our fellow speakers. It was an enjoyable experience and nice to meet fellow farmers and LEAF personal who up to now had just been voices over the phone. Thanks for the invite and to our excellent hosts. Open farm Sunday 2008 will be on June 1st. I hope the Wheat is sown by the next report and Hannah’s party goes well.